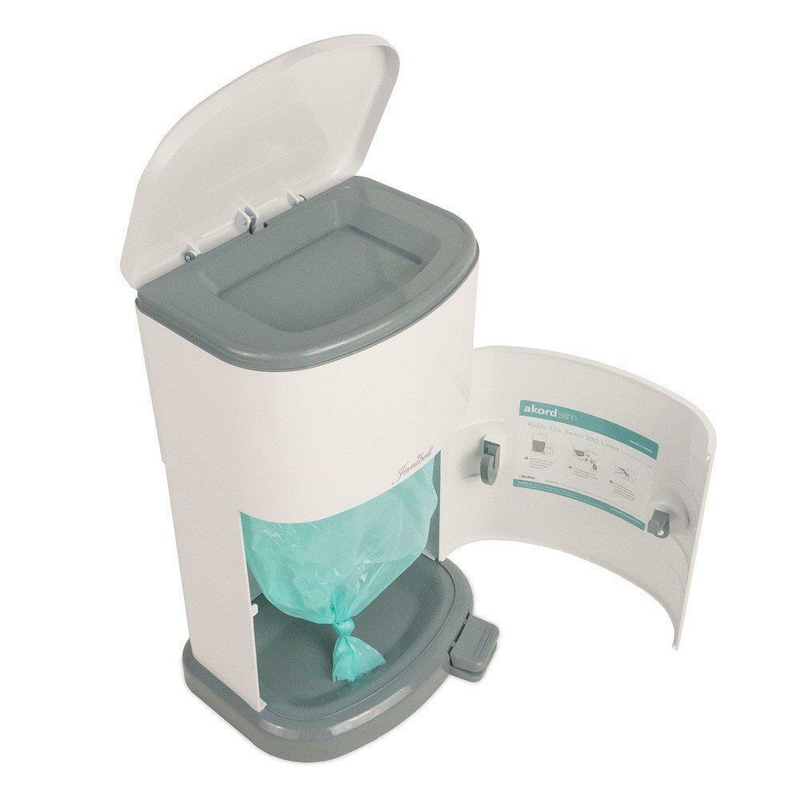 Janibell Akord Slim M280DA Adult Incontinence Disposal System offers discreet, hygienic, hands-free disposal of adult sized briefs, pads and other incontinence items. By stepping on the pedal, the lid opens and then user can drop the items through the extra-large opening. With its advanced double-sealing system the Janibell Akord disposal system locks in odors to keep things smelling fresh. It is perfect for home use or in assisted living or nursing home settings, as its elegant design looks attractive in any room. Janibell Akord Incontinence Disposal System? Janibell Akord Slim M280DA Adult Incontinence Disposal System is 12.3" (wide) X 10.4" (Deep) X 20.4" (high). I need more details on how it works. Does it work like a diaper genie? How many adult diapers can it hold? Is it sacking each diaper? Are the bags only available through this web site? 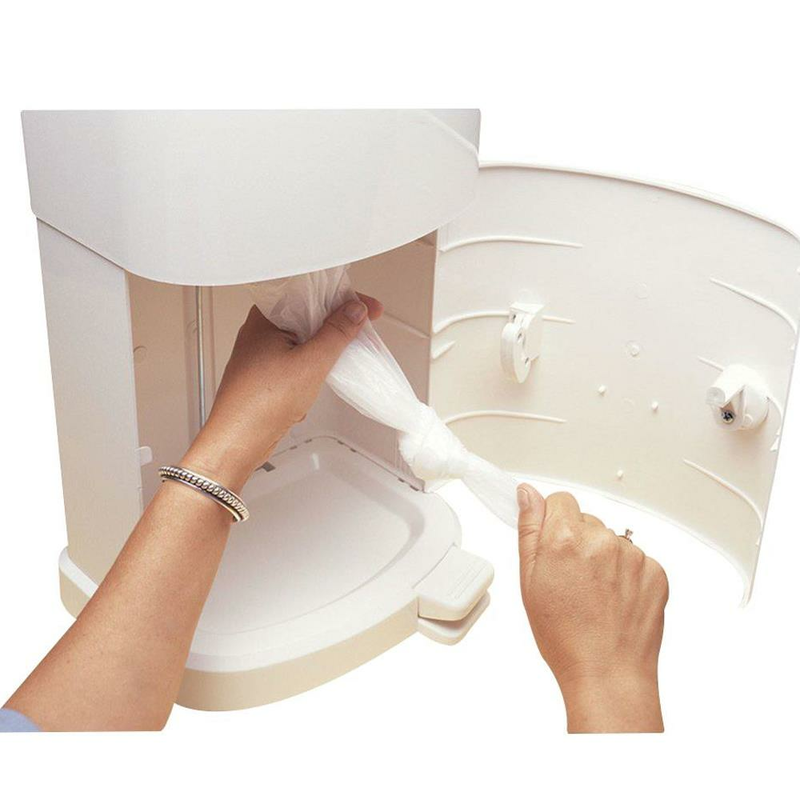 The AKORD Adult Incontinence Disposal System is a hygienic, hands-free system that makes disposal of adult briefs, pads and other incontinence items simple and sanitary. 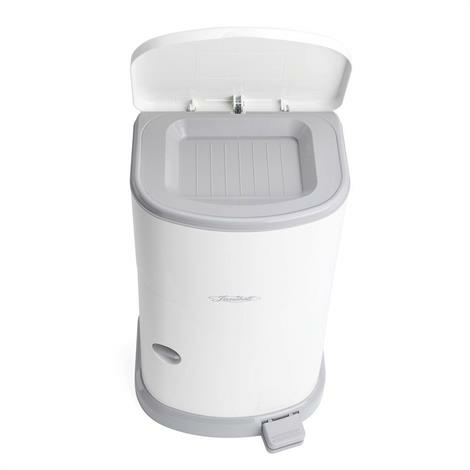 To answer your question, in concept I suppose the AKORD would be similar to a diaper genie. However, it is designed for adult-sized briefs. The construction is more durable, and it is backed by a 5-year Manufacturer’s Limited Warranty. The double seal system is made of non-porous ABS resin to provide sturdy structure and easy maintenance. As well, the continuous roll liner system allows you to customize bag size. The container can hold up to 35 large size adult briefs. However the unique continuous liner system allows for you to control the bag size, allowing you to eliminate liner waste as a result. Each liner can hold up to 1,050 briefs which can be bagged individually, or can hold up to the container load of 35 briefs.